The court denied the certification motion. Id. *11. 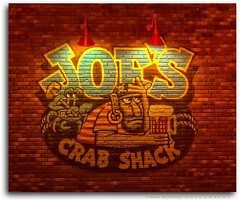 “Plaintiff’s position is that common questions predominate because the main issue is whether—notwithstanding Crab Addison’s written policies—Joe’s Crab Shack restaurants in California followed a common unwritten policy of denying meal and rest breaks, failing to pay employees who did not take breaks, failing to pay for overtime, requiring employees to purchase their own uniforms, and so forth.” Id. Plaintiff contended that the existence of a policy or practice that in effect contradicts Crab Addison’s written policies can be ascertained by an analysis of the data in Crab Addison’s computer systems. Id. “But since plaintiff has failed to adequately explain how that analysis works and exactly what the data shows, he has failed to adequately establish the existence of such a policy or practice.” Id. The court also found that plaintiff’s arguments regarding the missed meal breaks and the arguments regarding off-the-clock and overtime claims focused on individualized inquiries. “The fact that the information relating to individual employees may be available (or capable of being extracted) from Crab Addison’s Aloha system and other computerized systems does not mean that these are issues that are not [dependent] on an individualized inquiry.” Id. The “only way of showing the ‘practice’ that plaintiff claims existed at the California restaurants would be to determine how when and how it was applied in each instance.” Id. The court noted that “employers are required to make meal breaks available, but need not compel employees to take meal breaks if they are unwilling to do so.” Id. *12 (citing Perez v. Safety-Kleen Sys., Inc., 253 F.R.D. 508, 512-15 (N.D. Cal. 2008) (distinguishing Cicairos and citing Brown and other cases that have rejected the proposition that employers are required to ensure that meal breaks are taken)). Under this standard, plaintiff “must show that the employer impeded, discouraged, or prohibited him from taking a proper break.” Id. Thus the “crucial issue with regard to the meal break claim is the reason that a particular employee may have failed to take a meal break.” Id. Plaintiff does not claim that Crab Addison’s written meal break policy is in violation of the law, and therefore cannot rely on that facially compliant policy to show that common issues predominate. In the absence of any common policy, an individualized inquiry will be required to determine whether any single employee failed to take a meal break because he/she was too busy, and also to determine whether a particular employee signed a waiver based on a decision not to take meal breaks. For this reason alone, common issues do not predominate with regard to the meal break claim. In addition, plaintiff’s suggested solution of simply examining time records to determine when meal breaks were not taken would be unavailing, as that would not answer the question why the employees did not take breaks. The court found that Crab Addison established that it has a lawful overtime policy in place, and that it has paid its California employees for more than 28,000 hours of overtime since January 2007. Id. *13. Plaintiff’s current position is that employees were not paid for work done “off-the-clock” and that managers “shaved” their time. Crab Addison has established that it has a lawful written policy prohibiting work off-the-clock. Moreover, 19 of Crab Addison’s declarants have stated that they never worked “off-the-clock,” that they received compensation for all overtime worked, and that no other employee has claimed that any manager told him/her to work “off-the-clock.” Plaintiff has provided no evidence of any company-wide or class-wide policy of requiring “off-the-clock” work, and the individualized assessment necessary to ascertain whether there were in fact any employees who were told to work “off-the-clock” would not be susceptible to common proof. With regard to the uniform claim, Crab Addison had a written policy is to provide T-shirts to employees, and to replace those T-shirts when they become worn. Id. Plaintiff provided declarations from six employees, who claim that they purchased T-shirts, but the court noted that “the declarations provide no details of the circumstances under which they did so.” Id. By contrast, a number of Crab Addison’s declarants state that they were provided with T-shirts in accordance with Crab Addison’s written policy. “This dispute in the evidence highlights the need for individualized inquiries.” Id. It is true that courts, including this [court], often find wage-and-hour cases to be appropriate for class treatment. Nevertheless, there is no rule that requires that wage-and-hour claims be certified for class treatment regardless of the evidence submitted in support of the motion for certification. . . . In this case, the court finds that class certification is not warranted because plaintiff has not met his burden of showing that the questions of law and fact common to class members predominate over questions affecting only individual members, or of showing that a class action would be a superior method of resolving these claims. District Judge Phyllis J. Hamilton. Defense counsel Michael S. Kun.